Some of you may remember that I pranked Tuna Breath on his birthday by getting the whole team to buy him a tonne of tuna tins. He promised revenge, and put 3 calendar reminders into his computer to make sure he didn't forget. Well, guys, he delivered. 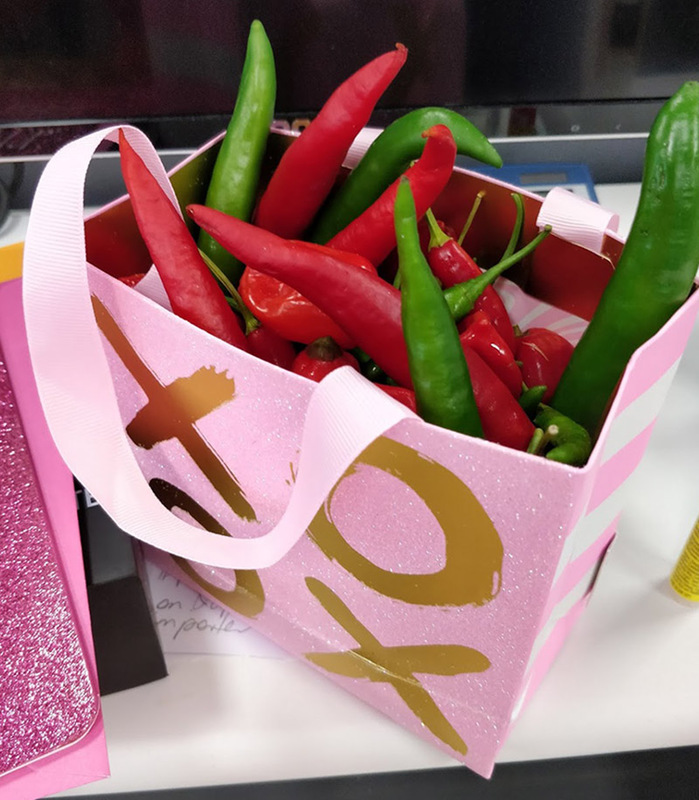 I arrived at work to find multiple types of chillies on my desk, in the tackiest, pinkest, most glitter covered bag and birthday card. 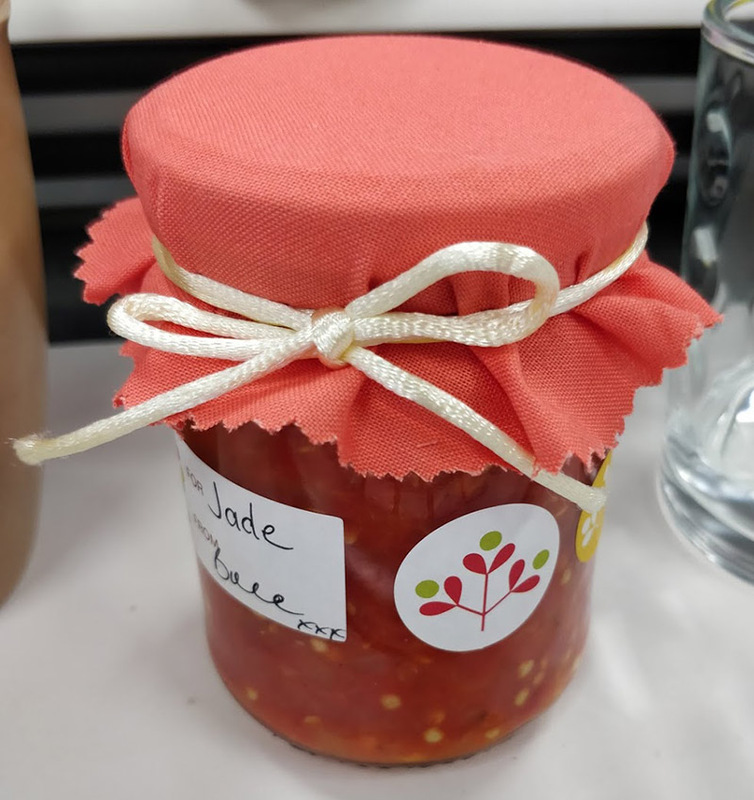 He found out that I am obsessed with chilli - I have 3 types of hot sauce in my desk, pickled chilli in the fridge and sometimes fresh chilli too. 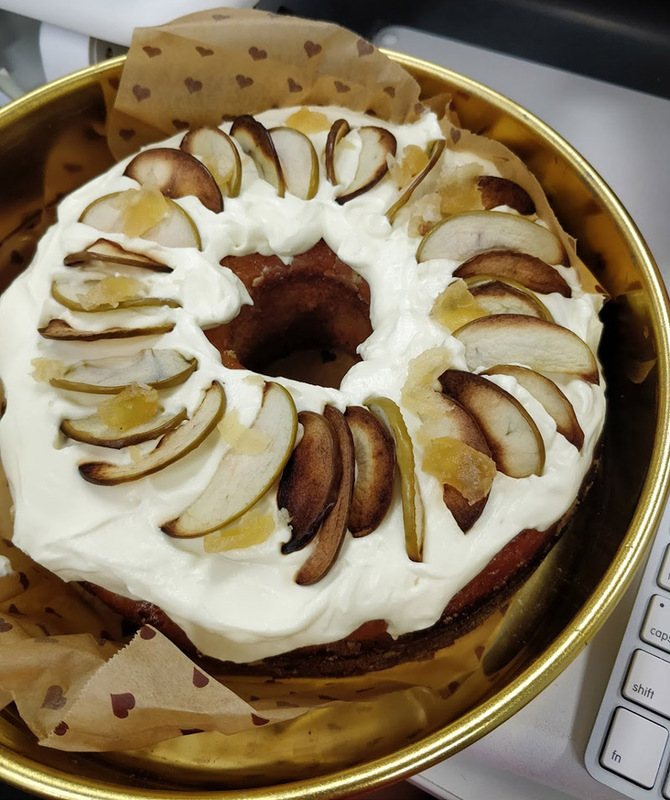 Sweet Cakes was in on the prank too - she made me a beautiful birthday cake, with a side of minced chilli in a jar. Too cute. Tuna Breath nailed it. I'm going to be feasting on these chillies for months. 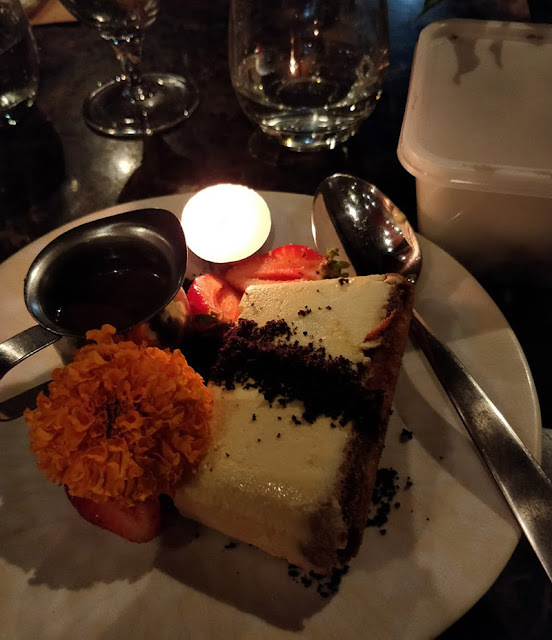 After work for Single Ladies Valentine's Day Birthday, I went for dinner with gal pals - 100% of whom were on loan from their boyfriends so my Single Ladies Bdays very not single these days. You're welcome, guys, most of you were off the hook for Valentine's Day - the most awkward days for going on dates, because romance is dead and people my generation and younger don't know how to cope with feelings. It makes for great people watching on the night, but from the looks of things not many great dates. The heat wave and everyone's face melting probably didn't help the looks of despair I saw on some lovebirds. This year was my first birthday free from online dating horror stories since I quit Tinder and consequently dating. It meant I didn't have any hilarious / awful stories to share so instead we talked about travel plans, careers, hobbies, media, entertainment. It was fun! Dinner was at Popolo in South Bank - one of my special treat places. You know, where the prices aren't cheap but the food is amazing, and the service exceptional so you go there only for special occasions. The awesome team at Popolo surprised me with a free cocktail, and free dessert. In your face Valentine's Day daters - I got freebies 'cause I was born. Bet you wish you were sad, alone, and born on Valentine's Day like me now, hey? Yeah, be jealous. This past year wasn’t my greatest. I feel like every year I get more extreme lows and highs than the last. Is this because I’m adulting and am more aware of my life’s twists and turns now? Or am I just really bad at keeping balance in my life? Either way, I am glad to see this year end. 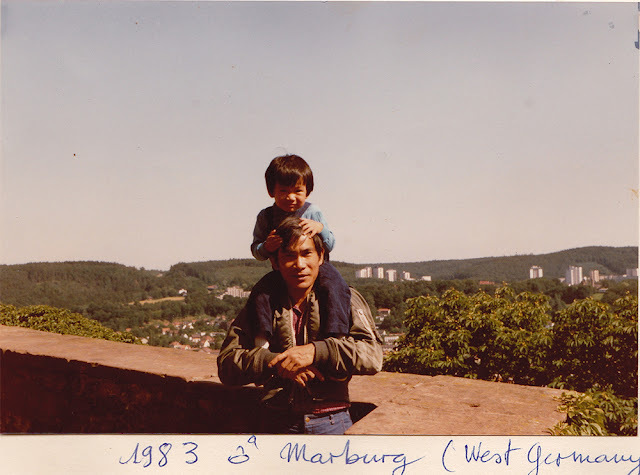 The highlight for me was definitely my trip to Europe and seeing my German Phamly for the first time in 3 decades. The lowlights were Dad Pham’s health scare, the ongoing boy fails, and farewelling work bestie and corny chips. It's always tough saying goodbye to good people. Things ended well enough though. I’ve made some new friends to add to my small collection of excellent humans in my life; Dad Pham has PhamLe living next door; and I have cats everywhere I go now. Cats are the greatest reminder that humans should be humble because we are clearly inferior to these majestic (yet dopey) creatures. Also, I wish I had a domestic cat's life - lazing around for most of my life, and still being super athletic and wild when I'm active. If I'm inactive for more than a day, my hard earned muscles turn to mush and I have trouble getting out of bed. Lucky cats. Here’s hoping I can keep up the good momentum from the end of this year into the next. Goals include getting fitter - not as fit as a cat, I'm trying to be realistic here. I’ve been keeping up my Groove Therapy classes, and have added 1-2 more swim sessions a week, I even started jogging after a fill-in Groove Therapy teacher put us through an hour of nonstop jumping and I realised my cardio needs a lot of work when I nearly keeled over during blass. Lastly, I’ve started adult beginner ballet classes again. Another goal is getting back to nature more - less city dwelling weekends. And lastly, my friends are a bigger focus now I’ve given up online dating people I don’t like. Phamly have always and will always be a top priority so they're not a goal, they're a way of life. Wish me luck kicking all my goals for this year. I wish you all a happy, healthy and prosperous New Year too! Big Brother Pham’s PhamLe moved in with Dad Pham at the end of last year, and Dad couldn’t be happier. Well, maybe he could - he keeps telling me to move home now that Little Sissy Pham has settled down with a partner. But, well, the fool went and got an adorable kitten so I won’t be leaving any time soon. 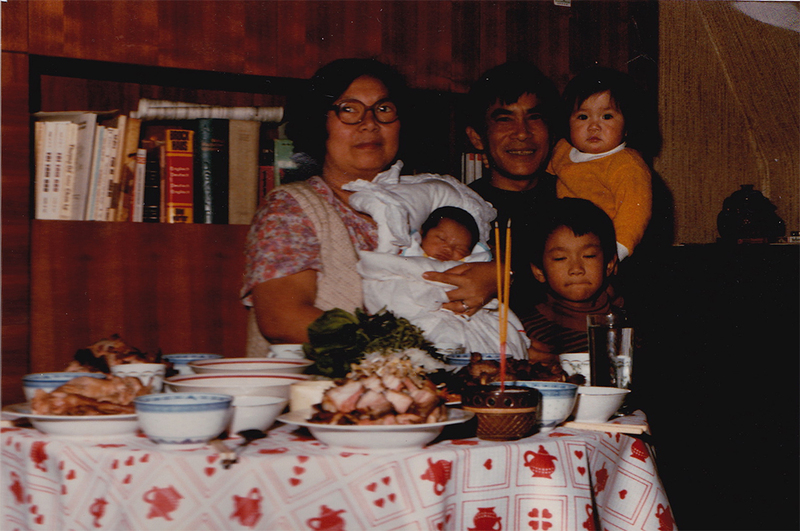 Dad Pham gets to see his grandchildren every day, and his favourite (read: only) son too. I still take Dad for his weekly grocery shop and cook Phamly dinner with him because that’s our time. But now he has someone to check in on him regularly throughout the week, and it’s nice he has the companionship without having to share his roof - he likes his independence. After Xmas lunch this year, I was talking to him about his new living arrangement and he is so happy. Some mornings he doesn’t speak to them, but he’ll watch for them out the window when they leave for school or work, and that’s enough to make him smile. His favourite time of day is when the girls have their bath time. From his bedroom where he listens to his radio at night, he can hear the girls laughing and playing in the tub in their house. He doesn’t understand what they’re saying, but hearing their laughter makes him happy. 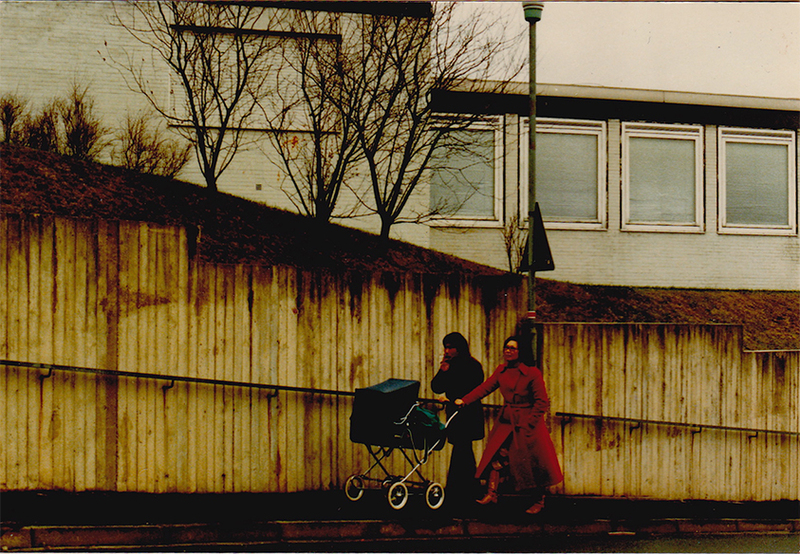 Most mornings on the way to work, I drive by an old, retro matte black Volkswagen buggy. It makes me grin to myself because I can't help but think someone driving that buggy with its retro esky and surfboard on the roof rack must be living their best life. You don't pack that much personality into your car if you're into conforming and keeping up with the latest trends. This person is clearly, unashamedly themselves. I love it. I've been meaning to leave a 'yay you!' letter on their dashboard for the longest time to express my appreciation and admiration. But being me and living on the other side of town from work, I am always stuck in traffic and running late (but refuse to get up earlier than 5am to get in my morning walk/jog before work) so haven't gotten around to it. That is, until Xmas came around and traffic started to die down and I was in the spirit of giving (even more so than usual) since it's the season to think of Other People's Happiness. I finally wrote, sealed and delivered a little note on Dec 27th, 2017 when the roads to work were nearly empty because non-retail industry types get to holidaze. I had that extra 5 minutes to pull over, tuck the note under their windscreen wiper and head off to work. I hope whoever owns the Buggy doesn't think their car has been hit or they've gotten a fine when they see a note on the front. I wrote Happy Holidays in black on the outside so hopefully they realise it's a positive note before they open it. Wishing you a happy life, whoever you are! I went from no cats for nearly 3 years to suddenly two beautifully adorable and different kitties. Nolan Pham, I live with and he’s an absolute bundle of joy. Sprite is Big Brother Pham’s cat and lives with Dad Pham because the granddaughters love - but are allergic to - cats. She's also called Splat just because. Sprite’s origin story is not as tragic as Nolan’s was, but it’s still a little sad. As a kitty she belonged to an elderly lady who passed away. The lady’s family inherited Sprite but they weren’t cat people so she ran away. Sprite ventured into Big Brother Pham’s yard one day where she met my Sister-In-Law and never left. At the time they just called her Cat. Cat kept returning every day, and at first, they thought she belonged to the new neighbours but eventually figured out she was no one’s cat and living in Big Brother Pham’s garage. Slowly, they began to feed her and soon she felt like part of The PhamLe. Cat injured herself one day, and Sister-In-Law arranged a vet appointment where she learned Cat’s given name is ridiculously girly and didn’t suit this solemn, gentle, docile cat so she remained Cat. She was adopted out by the RSPCA 4 years ago, and had no record of vet appointments since then. Sister-In-Law wanted to adopt Cat but didn’t want to get her children’s hopes up in case her old family came for her, so Cat remained a visitor that they loved, fed and cared for. Sure enough, a month later a family with young kids rocked up to the house to claim Cat. We thought it was goodbye forever until the next day when Cat came right back to The PhamLe and stayed for another couple of months. Just as Sister-In-Law was starting to think maybe Cat’s unwanted family weren’t coming back, they rocked up for the second time and took her. And again, Cat ditched them and came right back to The PhamLe. This time though, we knew her old family were moving away to regional QLD soon, and held our breath for days hoping they wouldn’t come and take her for the move. They did not. And so, Cat was given her Phamly name: Sprite. The young nieces think she’s named for fairies but, really, eldest niece really likes the fizzy drink. But Sprite is hard for kids to say so now she's also called Splat. When Big Brother Pham moved next door to Dad Pham, we weren’t sure if she was attached to their old house or to The PhamLe so still there was hesitation about making her officially one of us. The first day she was, understandably, stressed going from an outdoor roaming cat to being confined in Dad’s house while we moved Bro’s life into his house. But next day, Sprite was already exploring the house, and a couple of days later she was adventuring around her new yard. Dad’s house has a cat door because of Tigger Pham back in the day, so she can come and go as she pleases. And she strangely chooses to stay indoors for most of the day, unless the girls or Sister-In-Law are outside and she goes to say hi. She’s got a good, comfortable little life now - indoors, outdoors, constant companionship because Dad Pham is almost always home and if not, her PhamLe is just next door and they visit her throughout the day. When I sleepover, she kindly lets me sleep in my old room while she curls up at my feet. Adorable.